We at OCC extend our sincere heartfelt condolences to Bob's family and friends. Originally from the village of Codford St. Peter in Wiltshire, UK, Mr. Hathaway, 66, had a career in local government before becoming the operations director of Victoria Yachts near Southampton in the 1990s. In 2007, Mr. Hathaway founded the Marigot Sunshine Marina to cater for super yachts and smaller sailing vessels. 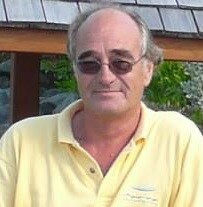 He managed the marina from its conception in August 2006 to April 2014. He was our POR for St Lucia since October 2014.